While I've been off work with whooping cough, I discovered the Red Bull Music Academy Radio ... and have to say I'm hooked. The content that is available to listen to ... for free via their website or app ... is simply remarkable. Interviews with key musicians (in English and French) ... live recordings ... DJ Mixes ... it is a cornucopia of content for a music fan like myself. 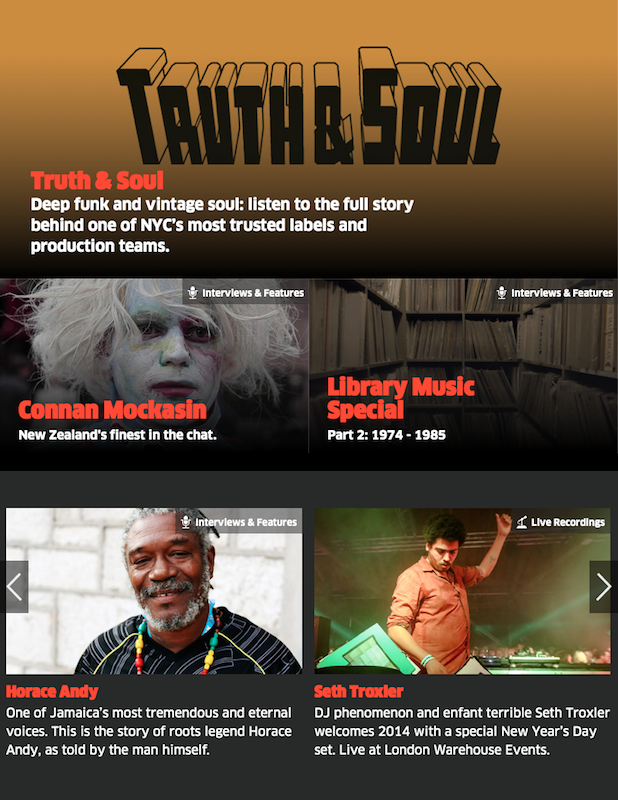 I was particularly taken with this Truth & Soul label special ... that is both a delight to listen to and very informative. This is the kind of content I have come to expect from the BBC ... and whilst this is not from the BBC, it has that kind of aesthetic ... warm, caring and knowledgable. The mixes are particularly strong ... I was rather partial to this one from Kirk Degiorgio that focusses on cinematic 70s soundtracks. I know its an advert for an energy drink but this is the kind of advertising that I can get behind ... advertising that supports whilst keeping low-key and non-intrusive.